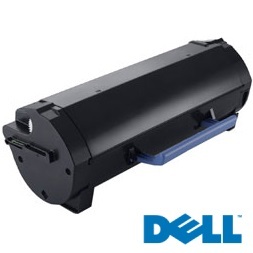 Genuine OEM Dell Toner Cartridge, Black, High Capacity 20,000 page yield. Dell part number: 331-9807, 9GG2G, HJ0DH. Laser Toner Cartridge compatible with Dell B3460dn.